Google has already launched a new version of the Nexus 7 so surely it's only a matter of time before its bigger brother, the Nexus 10, gets a reboot too. Last year's Nexus 10 was made by Samsung, but if the latest information posted by @evleaks is to be believed (and it's usually a reliable source), then Asus appears to have stolen this one from the Korean firm. The picture posted on the Twitter account seems to be a product listing for the new Nexus 10 tablet, but above confirming a 10-inch screen and Wi-Fi connectivity it offers us precious little information. 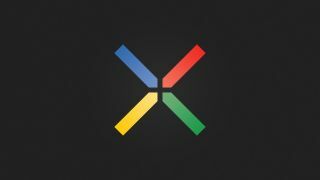 While no Nexus 10 release date was offered in this post there are rumours suggesting Google is planning an event on October 14 where we could possibly see the Nexus 5 smartphone launched alongside the larger tablet. We already know that Google's next instalment of Android is dubbed KitKat, and this shiny new software is expected to appear at the same event, so we could be in for a real treat.